President Donald Trump talks with reporters on the South Lawn of the White House in Washington on Monday before departing for the American Farm Bureau Federation's 100th Annual Convention in New Orleans. As Congress returned to Washington for their second week of legislative business since House control reverted to Democrats, the shutdown hit Day 24, affecting federal workers and services with no end in sight. 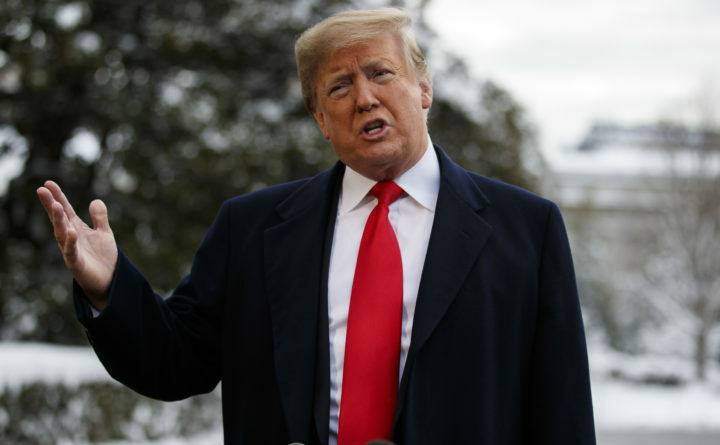 Trump has demanded $5.7 billion for his long-promised wall, while Democrats, who oppose the wall as both immoral and wasteful, insist Trump reopen the government before they negotiate border security.